A crumbling headstone in the cemetery at Bodie, California, memorializes Rosa May, a prostitute still known for caring for the sick. 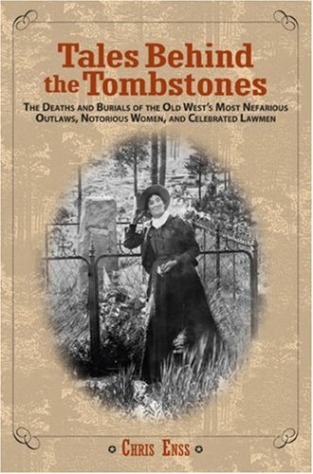 In Deadwood, South Dakota, Calamity Jane and Wild Bill Hickok, infamous to the end, lie interred side by side, per Jane's last request. And at the top of Lookout Mountain in Colorado lies the greatest western showman of all time, Buffalo Bill Cody, his grave site visited by thousands every year. Simple stones, roadside crosses, and grand monuments commemorate the lives of those ordinary citizens and larger-than-life characters who tamed the Wild West and exemplified its greatest myths. In Tales Behind the Tombstones, author Chris Enss shares the stories behind their lives, deaths, and burials. Paperback, c2007, xiv,209 p. : Ill. ; 23 cm.